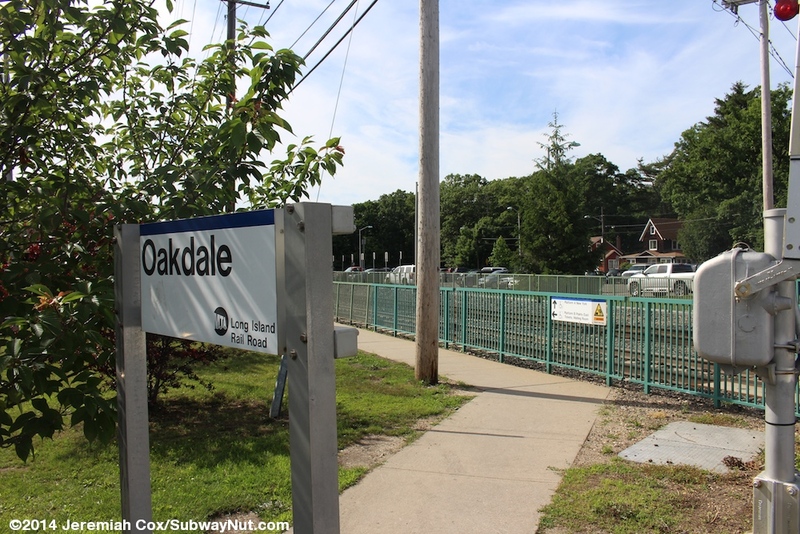 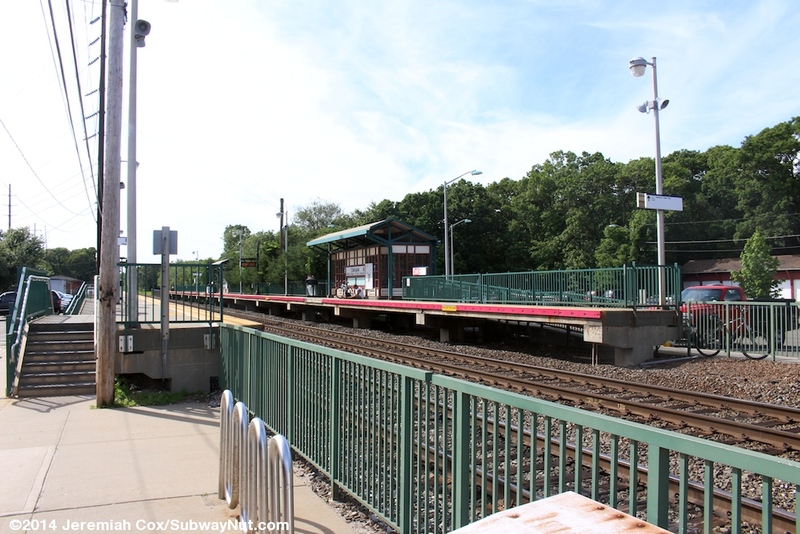 Oakdale is a stop on the Montauk Branch. 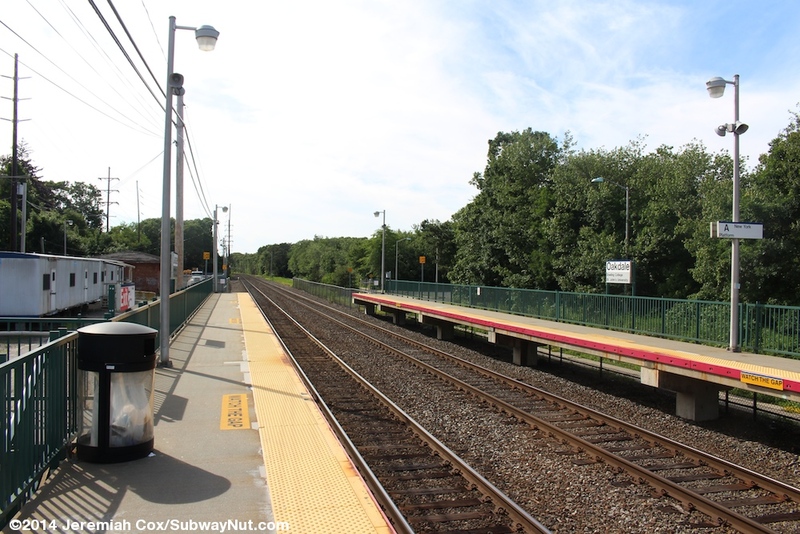 The station has two modern, high-level side platforms that are connected only by the grade crossing of Oakdale-Bohemia Road about two cars from the ends of parallel platforms. 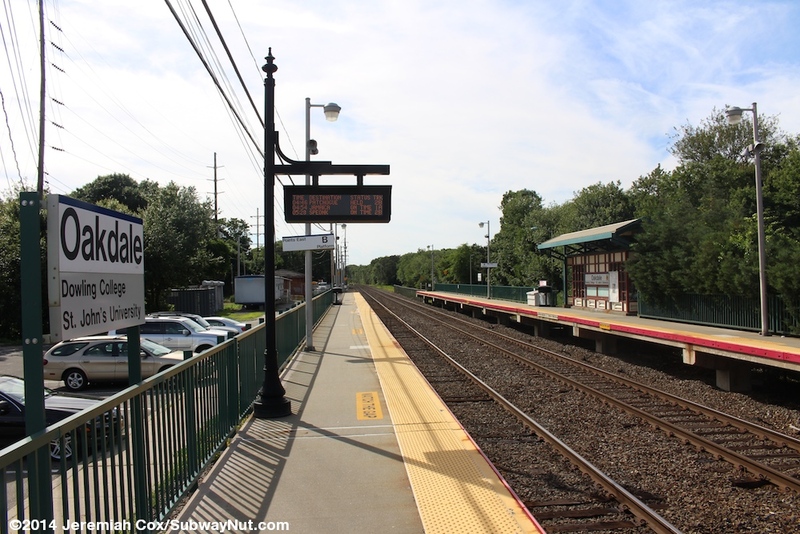 These platforms were built just before 2000 to accommodate the new C3 cars. 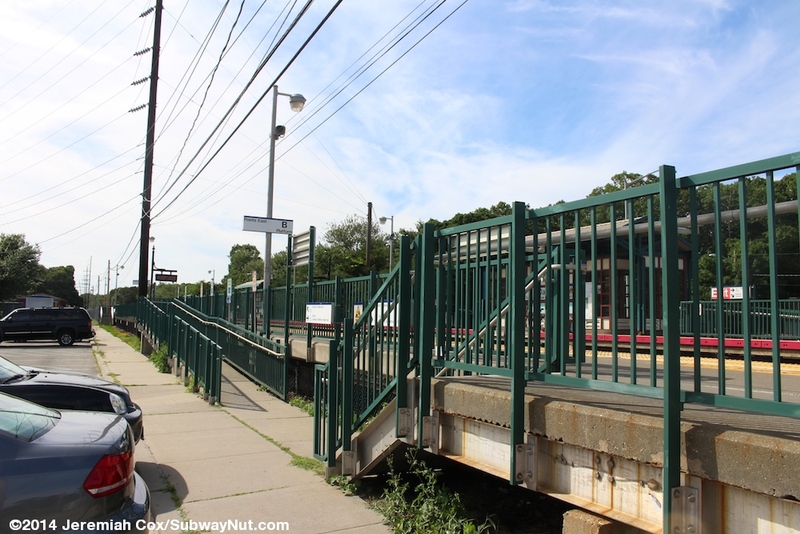 The platforms each have green railings. 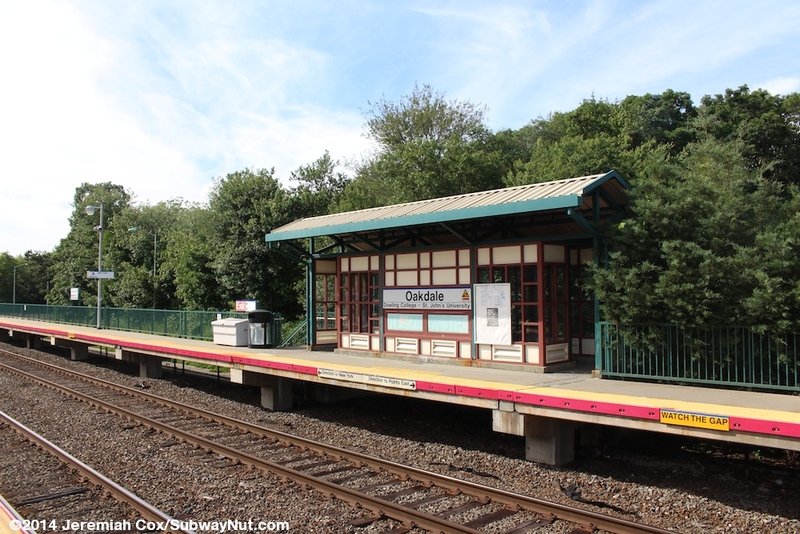 The Points East platform is completely bare; only the New York-bound platform has two windscreened enclosed shelters for waiting passengers with cream and maroon colored windscreens. 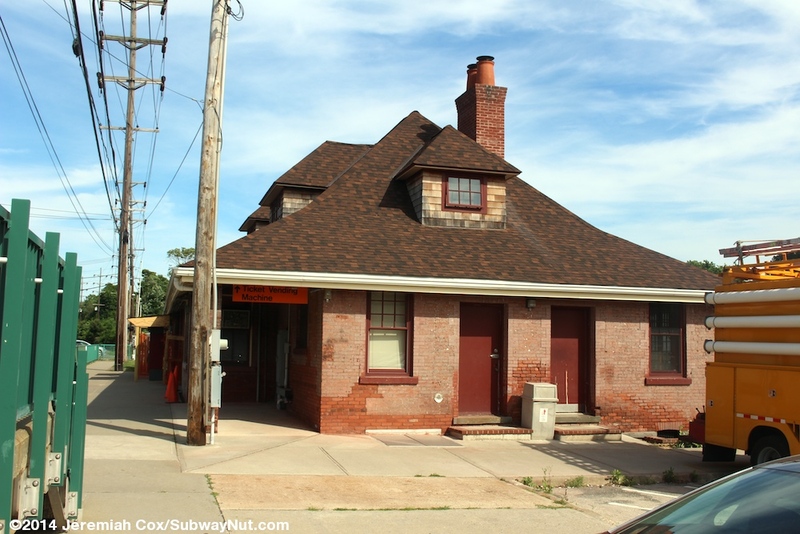 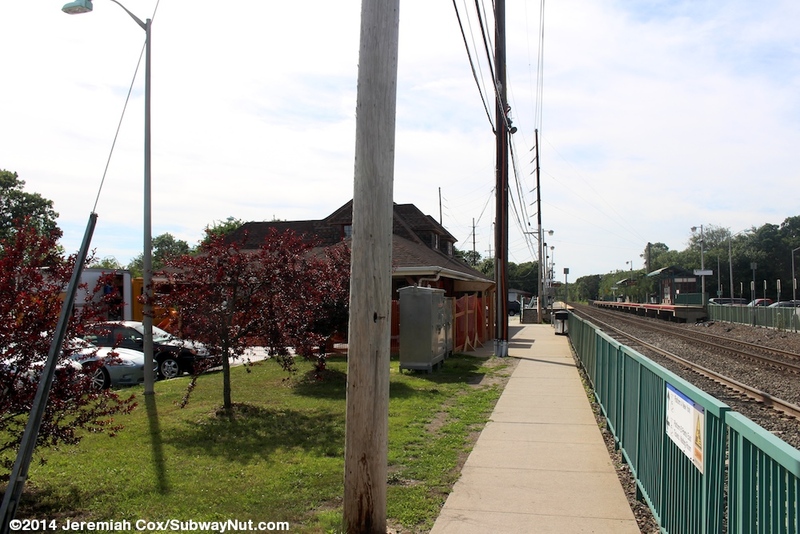 Between the grade crossing and Points East-bound platform is a historic 1890 brick station house with a chimney and high-gabled roof. 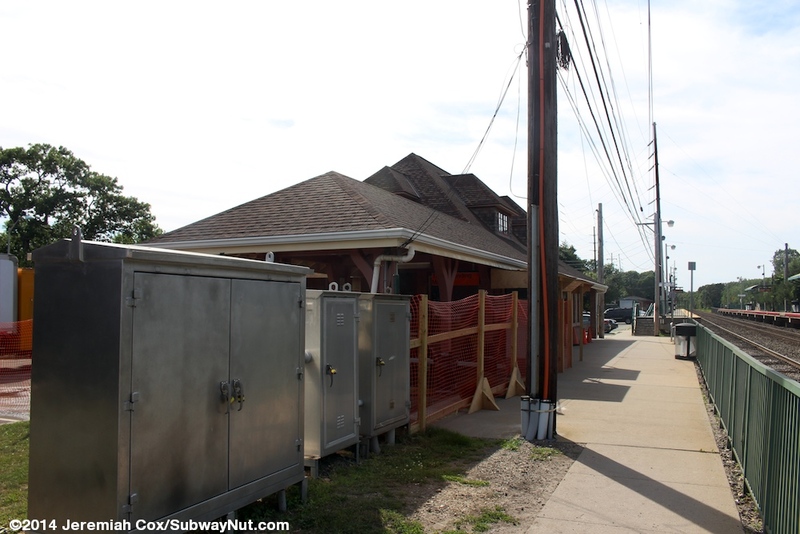 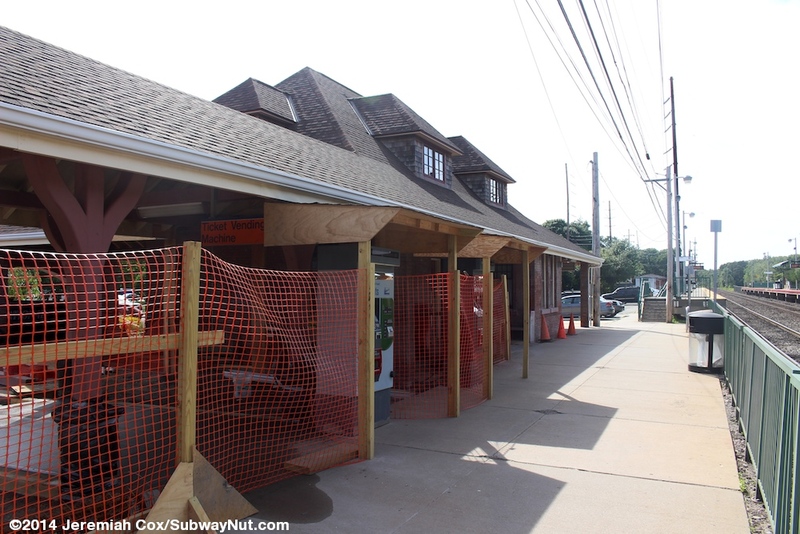 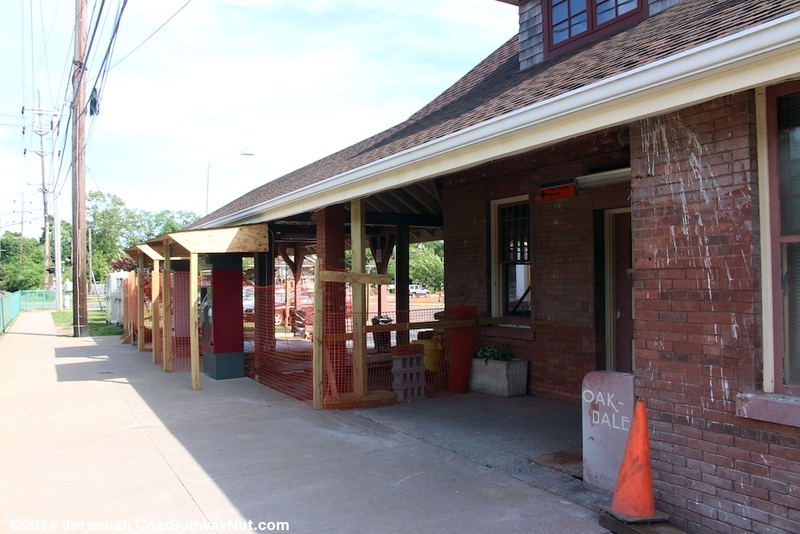 An attached porch extends between the station house and grade crossing. 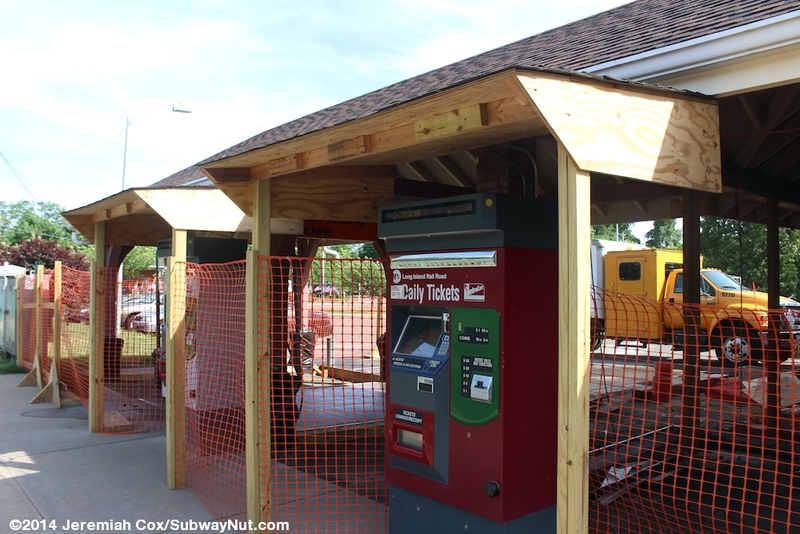 The station's two TVMs are here. 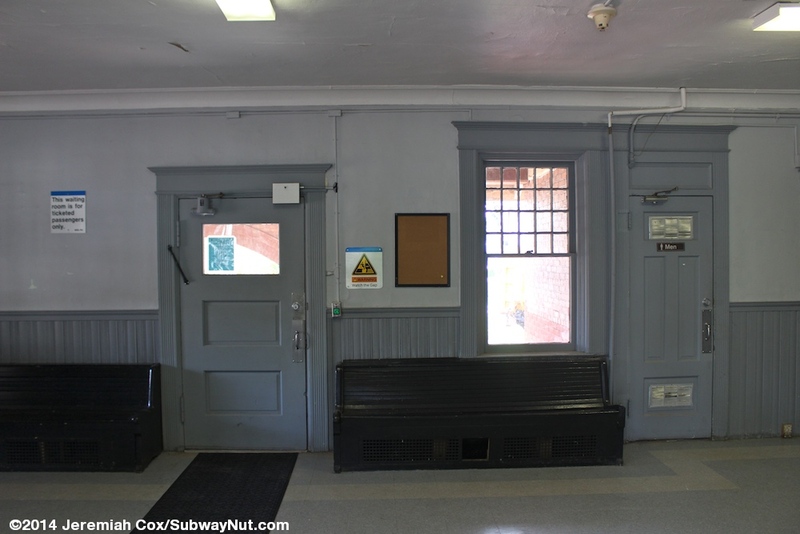 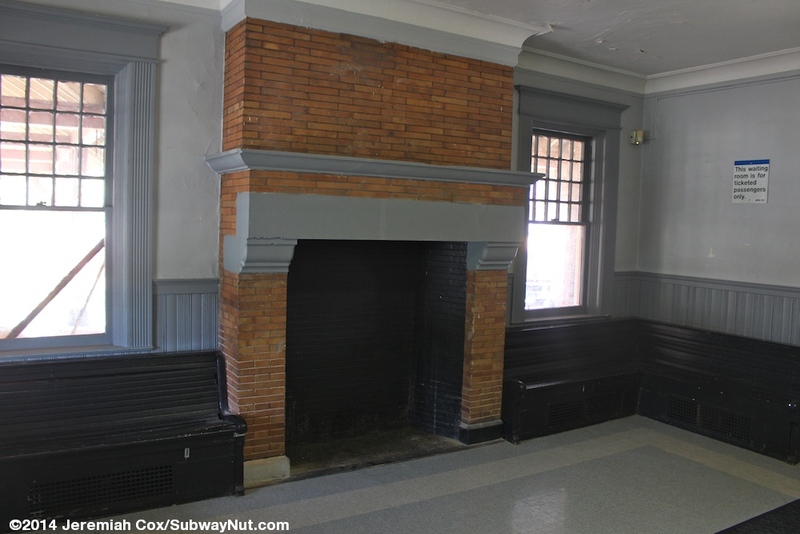 Inside is a small waiting room with grey and blue walls, two restrooms and old wooden black benches along the walls, plus a brick fireplace. 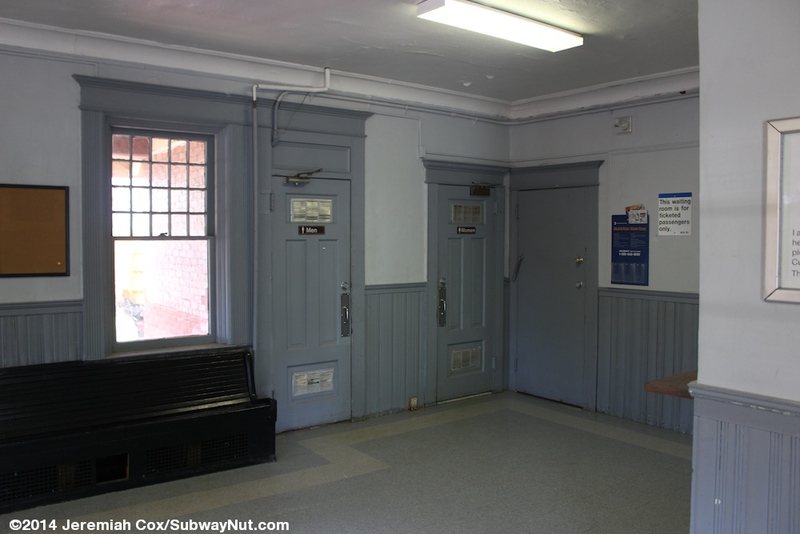 There is also a former ticket office. 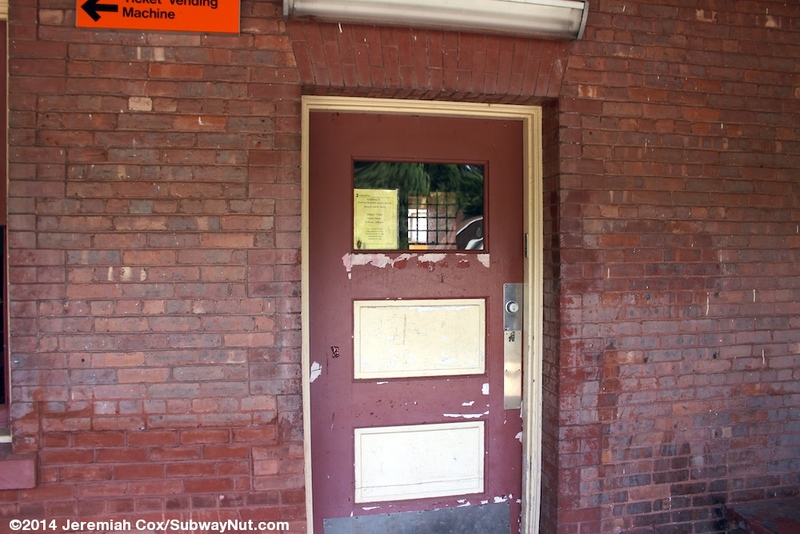 Just west of the station is a brick building that is a former freight warehouse and is now used by the LIRR for storage. 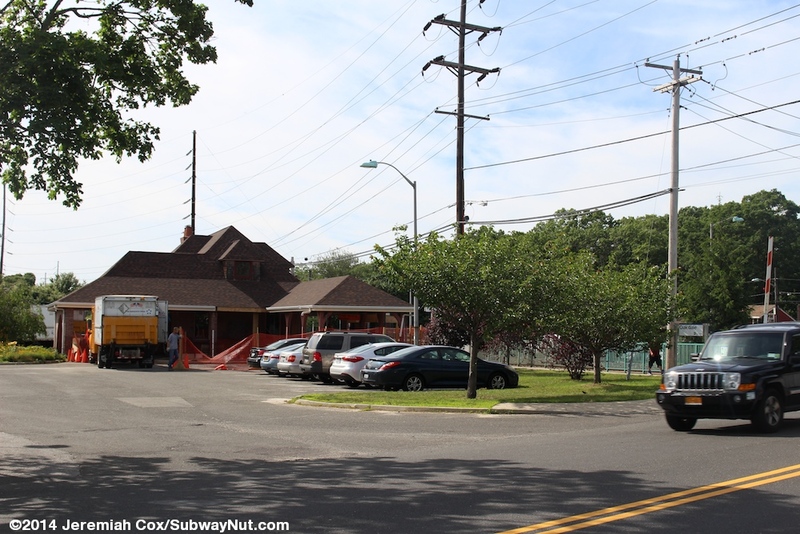 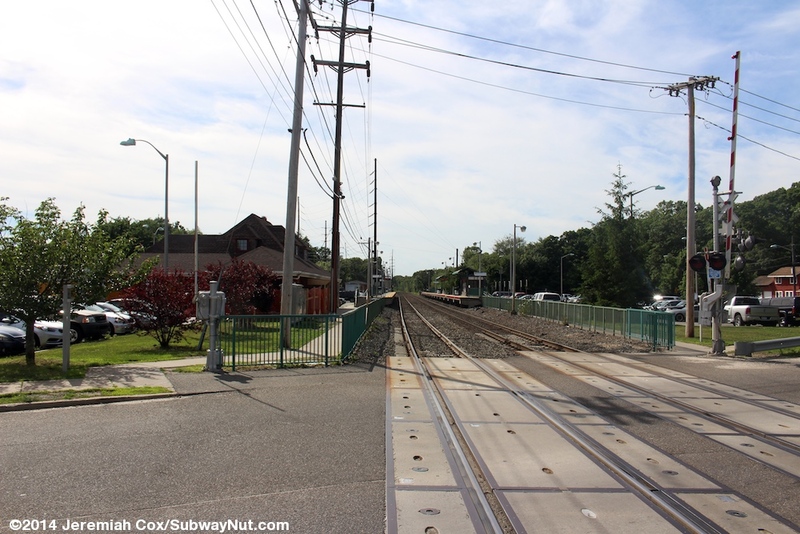 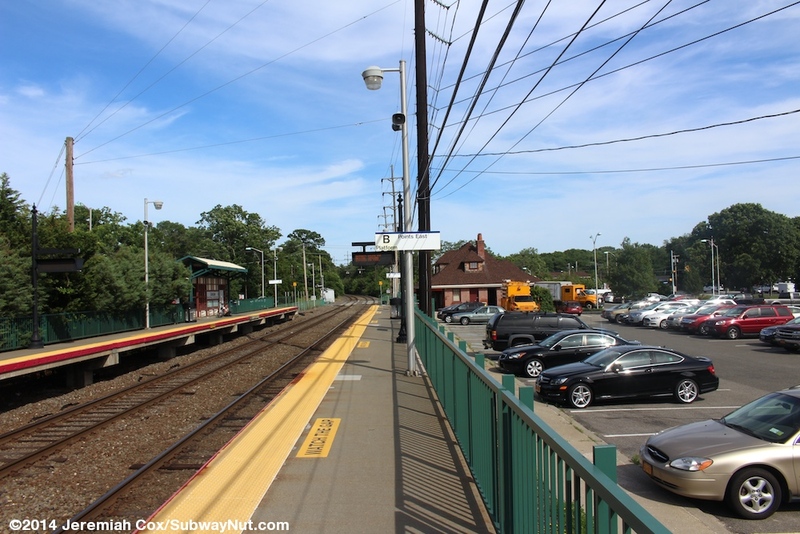 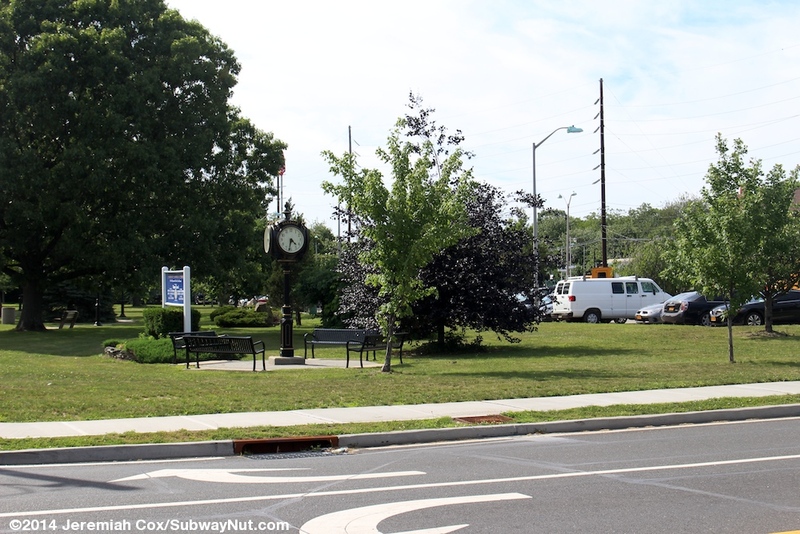 Parking is along each platform: the main lot is along the Points east platform between it and Norman DeMot Park, a smaller lot is along the New York-bound platform before Montauk Blvd loops around from its intersection with Oakdale-Bohemia Road and runs parallel to the western end of the platform.